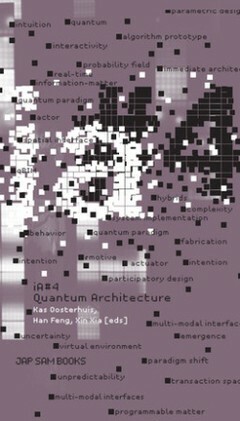 The fourth issue of the iA bookzine presents quantum theory as a new stimulus for architecture debate. Quantum theory, as the most precise explanation of our physical world, has not only triggered a tremendous technical improvement, but has also introduced a revolutionary quantum world view that considers the material world as a non-deterministic construct, deciphered with probability and interactivity. From this point of view, true interaction can be envisioned between users and their constructed environments, and between designers and their computational tools.